Living like a tourist: Postcard from Matt in Baltimore City! 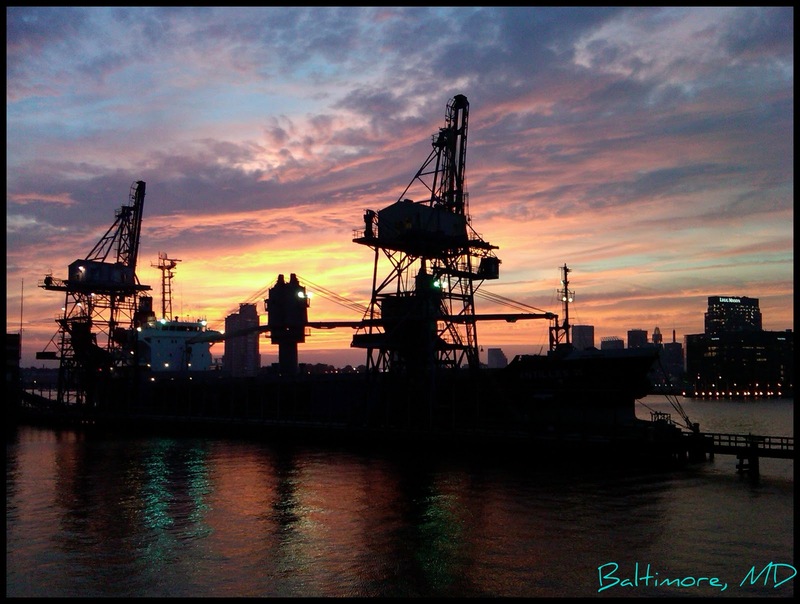 Postcard from Matt in Baltimore City! Most people perhaps don't equate Baltimore with sugar. 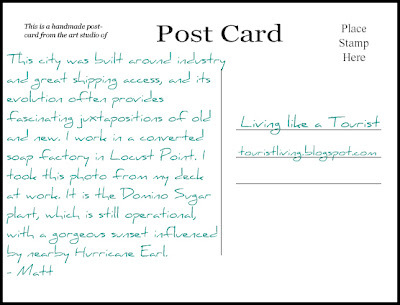 However, the Domino Sugar Plant is definitely a staple on the Baltimore horizon. One of the oldest companies in the United States, the Domino Sugar Company (as the most recent in the evolution of company names from W. & F.C. Havemeyer﻿ Company to American Sugar Refining Company to Amstar Sugar Company) was begun in the 19th Century by William Havemeyer, an English immigrant. The brand name Domino came about in the early 1900's when Henry Havemeyer decided that a trademark name would assure the company greater success, owing to a heightened awareness of the product. The name Domino was chosen because the sugar cubes resembled, take a guess, dominoes. The company is today owned by British company Tate & Lyle and dabbles more in the artificial sweetener business, however, as Matt mentions, the recognizable plant on Baltimore's skyline is still functional and, according to the Washington Post, even offers tours on the art of sugar making! If sugar refining doesn't peak your interest, you can instead make your way along Baltimore's Inner Harbor, home of the National Aquarium, Science Center, U.S.S. Constellation (the last existing American Civil War-era naval ship) and Food and Shopping Pavilions. Make sure to stop by another renovated industrial building, now on the Registry of Historic Places, the Power Plant, which today is home to Barnes & Noble, the Hard Rock Cafe and ESPN Zone. Postcard from Jen in Bella Roma! 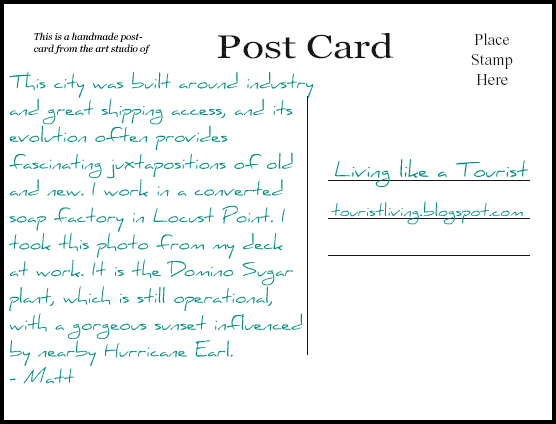 Postcard from me to you: Washington D.C.! Postcard from the Romantic Road in Germany!